Enjoy, and don’t forget to check out my special promotions toward the end of this newsletter. These delicious little no bake energy bites are the perfect healthy treat! Valentine’s Offers Expire February, 28th! To get started contact Tara Liz at(646)-833-7644 or via email taraliz@healthystepsforward.com. I hope you all had a great week and are enjoying the weekend! Just wanted to send one last reminder that my Fit & Lean Challenge starts Monday, February 2nd. It’s a great way to get back on track after indulging during the Superbowl this weekend! Plus before you know it the spring will be here!This program is extremely affordable ($30), and is an effective way to start the new year with some fresh momentum and motivation. This jump start can make reaching your health and weight-loss goals a reality in 2015! Sign up now and grab your spot!! Feel free to pass along the below link to your colleagues, friends or even family members. This program is open to the public, and the group is growing by the day…. time to get on board! Let me know if you have any questions. Wishing you health, love and happiness always! To get started contact Tara Liz at (646)-833-7644 or via email taraliz@healthystepsforward.com. 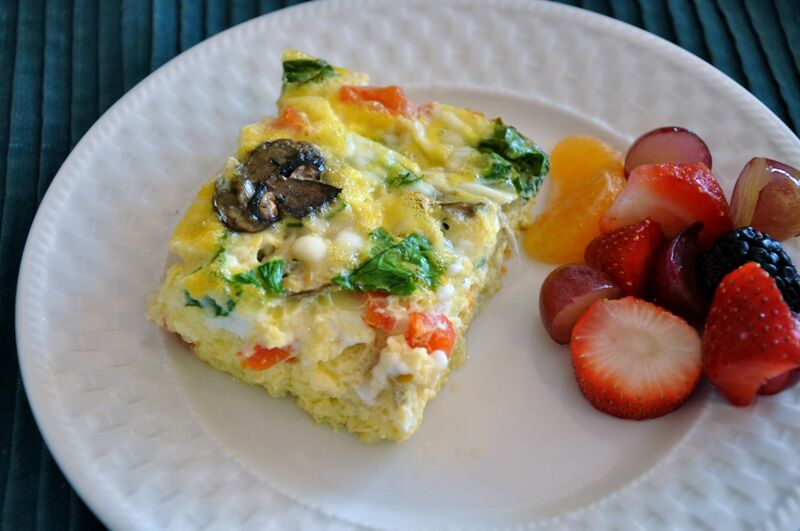 Start your day with lean protein, vegetables, whole grains and/or fruit. For example: Oatmeal with berries, a protein shake, smoothie or eggs with veggies. Bonus Tip: Eat an apple a day and you will keep the doctor away. You can add this to your smoothie, juice or enjoy with delicous almond butter. Do not skip your workouts! Make sure to exercise at least 3 times a week, even if it’s for twenty minutes. Exercise is good for the body and brain — and new research suggests it could boost your immune system and possibly even help it guard against cancer. 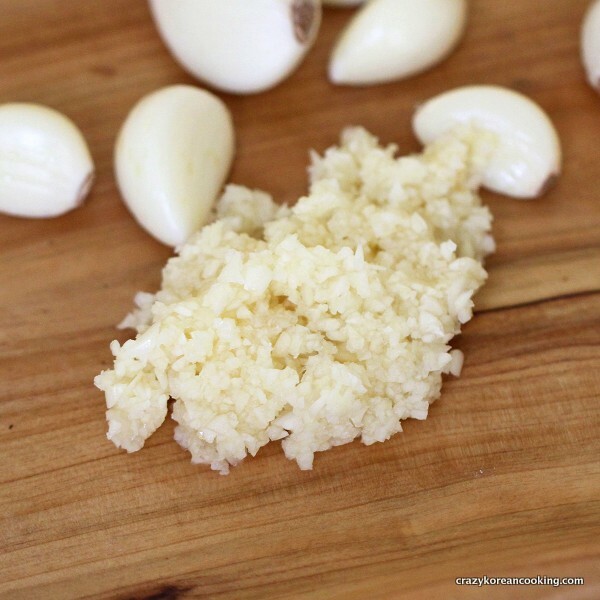 Garlic is medicine and it’s important to eat it to prevent sickness. It also adds a delicious flavor to meals. Garlic contains the active ingredient allicin, which fights infection and bacteria. British researchers gave 146 people either a placebo or a garlic extract for 12 weeks; the garlic takers were two-thirds less likely to catch a cold. Other studies suggest that garlic lovers who chow more than six cloves a week have a 30% lower rate of colorectal cancer and a 50% lower rate of stomach cancer. Aim for two raw cloves daily. Add garlic to your eggs, spinach, pasta sauce or fish. Aim for 6-8 glasses of water daily. 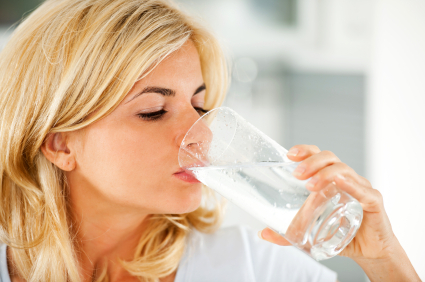 If you are going to be drinking alcohol, drink one cup of water for every drink you have. And Add lemon to boost your immune system! Add in greens to at least 2 out of 3 of your meals. Greens will keep your body alkaline, uplift your mood and boost your immune system. They contain antiviral and antibacterial agents that keep you disease free. Bonus Tip: Adding the following cruciferous vegetables to your daily plate is like taking an anticancer pill: arugula, beet greens, bok choy, broccoli, Brussels sprouts, cabbage, cauliflower, collards, horseradish, kale, kohlrabi, mustard greens, radishes, red cabbage, turnip greens, or watercress. Deep breathing exercises like Dr. Weils 4-7-8 breathing techniques can help with reducing stress so that you don’t get run down. Unwind by taking a warm shower or bath at the end of the day. Turn off your phone, tv and disconnect from your day. This will help you sleep like a baby. Don’t skip shellfish, unless you are allergic of course. Shellfish such as oysters, lobsters, crabs, and clams contain selenium which helps white blood cells produce cytokines. Cytokines are proteins that help clear flu viruses out of the body. 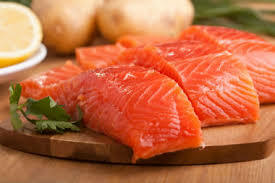 Salmon, mackerel, and herring are rich in omega-3 fats, which reduce inflammation, increasing airflow and protecting lungs from colds and respiratory infections. 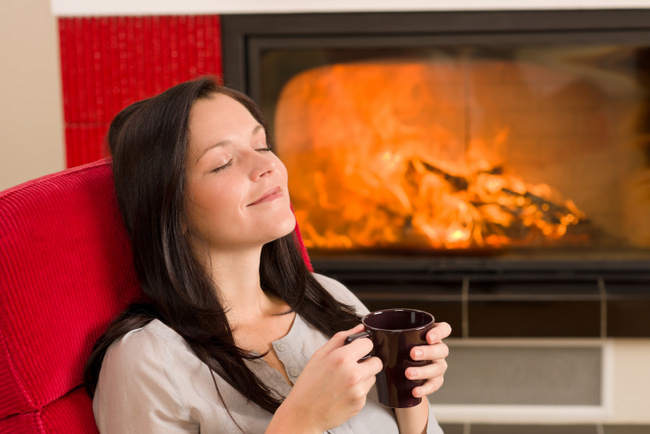 Tea is not only soothing and relaxing but it will also help you stay healthy this season. People who drank 5 cups a day of black tea for 2 weeks had 10 times more virus-fighting interferon in their blood than others who drank a placebo hot drink, in a Harvard study. The amino acid that’s responsible for this immune boost, L-theanine, is abundant in both black and green tea—decaf versions have it, too. Enjoy several cups daily! Bonus Tip: To get up to five times more antioxidants from your tea bags, bob them up and down while you brew. Skin is an important part of your immune system. It a crucial organ, covering an impressive 16 square feet. Skin serves as a first-line fortress against bacteria, viruses, and other undesirables. To stay strong and healthy, your skin needs vitamin A. 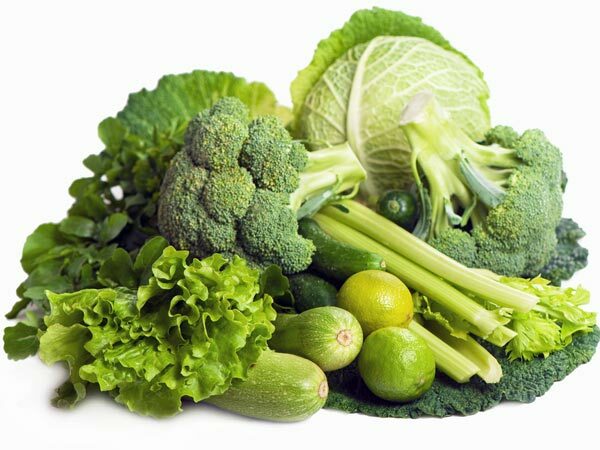 “Vitamin A plays a major role in the production of connective tissue, a key component of skin. 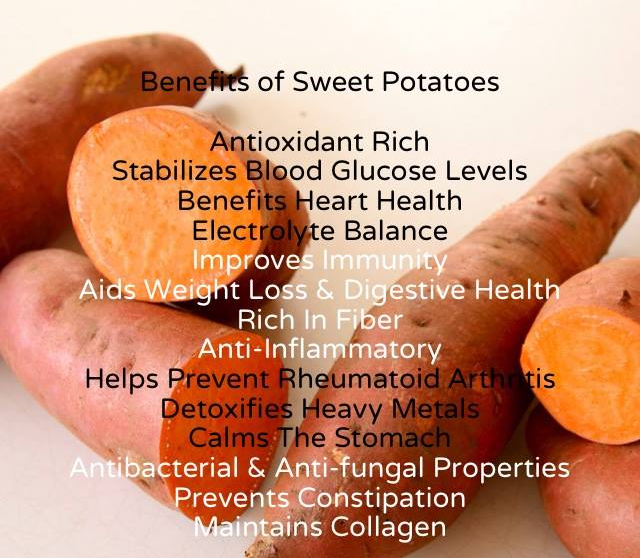 One of the best ways to get vitamin A into your diet is from foods containing beta-carotene (like sweet potatoes), which your body turns into vitamin A. Aim for a half-cup serving, which delivers only 170 calories but 40% of the DV of vitamin A as beta-carotene. They’re so good and will help fight sugar cravings as well! Think orange when looking for other foods rich in beta-carotene: carrots, squash, canned pumpkin, and cantaloupe. Check out my Baked Sweet Potato Fries Recipe here. 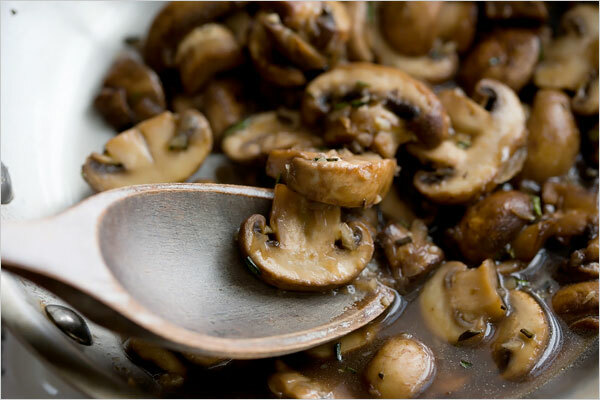 For centuries, people around the world have turned to mushrooms for a healthy immune system. Studies show that mushrooms increase the production and activity of white blood cells, making them more aggressive. This is a good thing when you have an infection. Shiitake, maitake, and reishi mushrooms appear to give your immunity the biggest punch. Eat at least ¼ ounce to 1 ounce a few times a day for maximum immune benefits. Add a handful to pasta sauce, sauté with a little oil and add to eggs for breakfast. 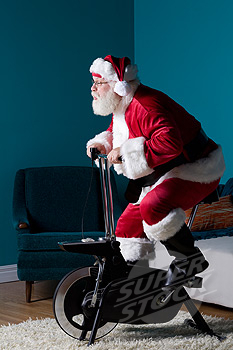 Stay healthy this holiday season and have fun!! Warm wishes to you and your family. 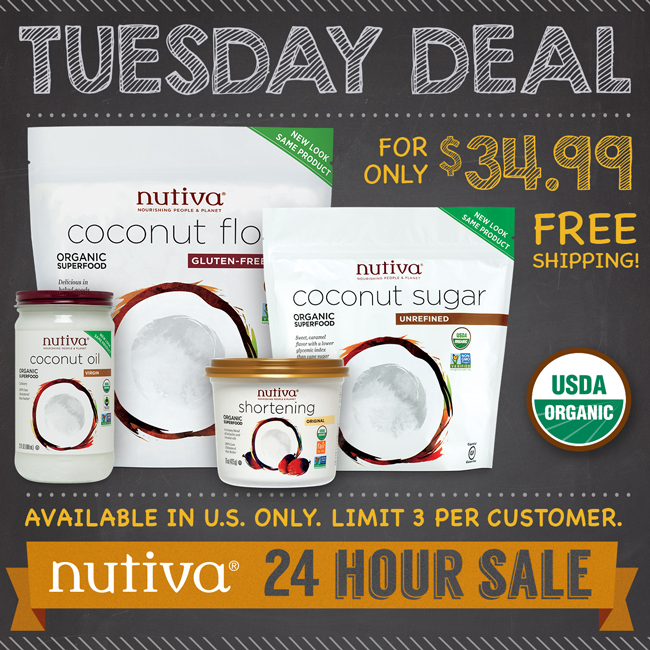 Just sending you a quick email about Nutiva’s Tuesday Deal. Nutiva’s products are amazing! They are 100% organic and non gmo. They are not only healthy but absolutely delicious! What we put into our body is so important. Don’t settle for less, you deserve better! Here is a link for you to use if you are interested in trying them out! We know change is hard but we want to make it easy. We went out looking for the kind of foods that packed a powerful amount of nutrition into every bite, so that you could make small changes to big effect. We found superfoods—nutrient-dense powerhouses that can also be grown and processed in a sustainable way. These are foods that are truly good for you and for the planet. They’re foods like hemp and coconut, chia and red palm. They’re organic, full of vital nutrition, easy to use and delicious additions to your diet. We say food doesn’t have to be a choice between the lesser of evils. We say let food lead us to a better world. We say super people deserve superfoods. We say, come join us in our mission. Summer is here! It is the perfect time to do a cleanse so that you are feeling awesome at the beach this year. I have had the best experience working with Tara! I would 1000% (yes, that is 1000) recommend Tara and her services. She is incredibly supportive, goes above and beyond every week, and introduced me to her detox plan that has literally changed the way I think and feel about food in general. I knew I wanted to change my habits and get back to a healthy lifestyle, but I had no idea that taking part in the 10 day detox would take off 15lbs!!! I feel better than I have in the last 5 years! I’m excited to continue working with Tara and utilizing the tips and knowledge I gained from her cleanse. Working with Tara was one of the best decisions I’ve ever made for myself and I can’t thank her enough! Tara’s cleanse was great for me. It was really detailed and helpful for me, someone who is new to cooking. She has provided recipes that are very easy to make and not intimidating to a beginner cook. It was also successful for me because it was on a schedule, and I need that kind of discipline. I lost 6 lbs. during the cleanse and I feel amazing! I would recommend Tara Liz to anyone looking to lose weight and improve their lives. I began working with Tara when I learned my father was very ill, an my fiancé and I decided to move our wedding up so my father could be a part of it. I had 7 weeks to get to my wedding weight. I had no idea how to even begin. Tara talked me through the detox and said it would be a good way to kick start my weight loss and I thought it would be worth a try. I grew up a junk food addict, and while I had been slowly eating more vegetables and weaning myself off soda and then diet soda etc., I had no idea how much sugar and processed food I was putting in my body. The cleanse was difficult. The first three day especially. I felt moody and irritable. I had muscle aches in my back, buttocks and legs. I had headaches from caffeine withdrawal. I was exhausted. But Tara was with me every step of the way and encouraged me to keep going. The trick for me was to keep something healthy in my bag at all times, so when I was tempted I had something to use as replacement therapy. I was so pleased with myself for going through all 10 days of the cleanse. My co-workers began to notice my weight loss after day 8 and by the end of the cleanse I had lost 8 pounds!!! But what surprised me most was that, I don’t want to go back to all the caffeine and processed foods…not as much anyway. I still miss cheese. But, I found that I was okay without it. I am learning new ways to cook and I and my fiancé like it better. There are many steps to becoming healthy, and starting with the cleanse helped me to get a big hurtle out of the way. Tara set up a great detox for me in which she included a breakdown for each day on what to eat. Also, I was given many recipes and a grocery shopping list of essential products I would need on hand. Tara was very helpful during the whole process. If I had questions about anything in the print outs I was given she’d always answer my texts/emails promptly and always checked in with me to see how I was doing/feeling. After 10 days I am excited to say I lost 8 lbs !!! It’s a great feeling and about half way through I had gotten into a groove and was feeling more confident overall in my choice to live a healthier life style. After the detox I can definitely feel the effects different foods have on me and how even the littlest of sugar can effect my energy. It’s very interesting and informative. It’s a good feeling to know the control I really do have over how I want to feel. Tara’s detox is a valuable process that will definitely have you learn a lot about yourself! The Early Bird Special starts now through July 10th.